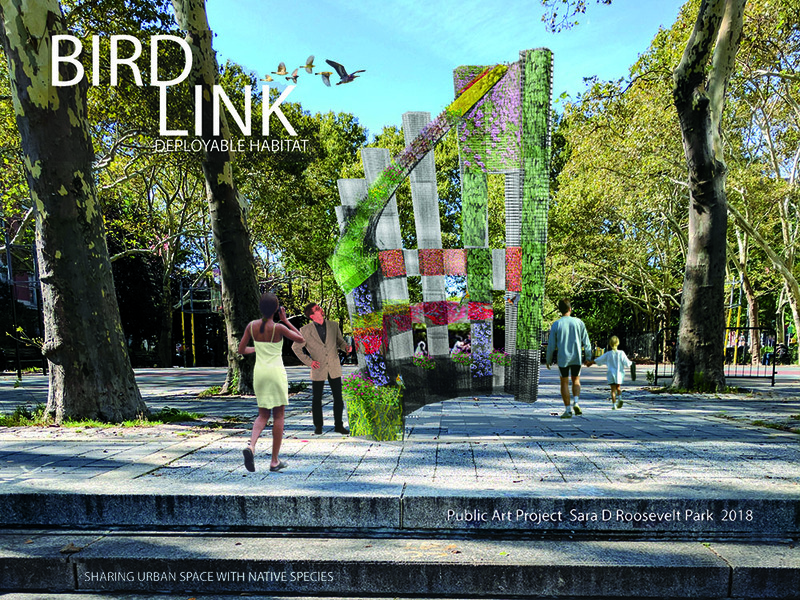 Created by artist Anina Gerchick, BIRDLINK is an interactive native-plant sculpture that supports urban and migratory birds, educates people about the challenges facing urban bird populations, and enhances the quality of life in neighborhoods by greening urban space. It engages communities in the importance of sharing urban space with indigenous and migratory species. 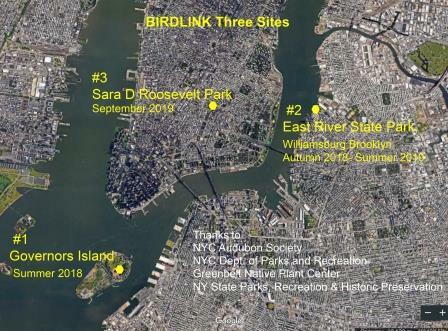 Your contribution will help underwrite the production of BIRDLINK and its debut at Governors Island in July 2018 as well as its upcoming installation at the Sara D. Roosevelt Park in the 2019. Support BIRDLINK with a BIRDLINK T-Shirt! 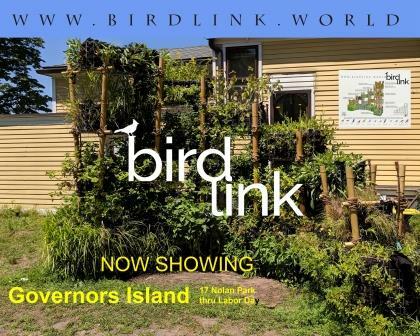 Watch a video of the BIRDLINK installation at Governors Island here. NYC Audubon is the fiscal sponsor for the BIRDLINK project. No goods or services are provided to you in exchange for this gift. New York City Audubon is an I.R.C. section 501(c)(3) organization, and your gift is tax deductible within the limits prescribed by law.